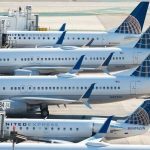 First Class airline seats are expensive because they take up significant real-estate, and the airline senses a market opportunity. 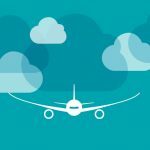 But why are First Class airline tickets so expensive? Real Estate – First-Class customers need expensive lounges at the airport, and take up an awful lot of space on board. 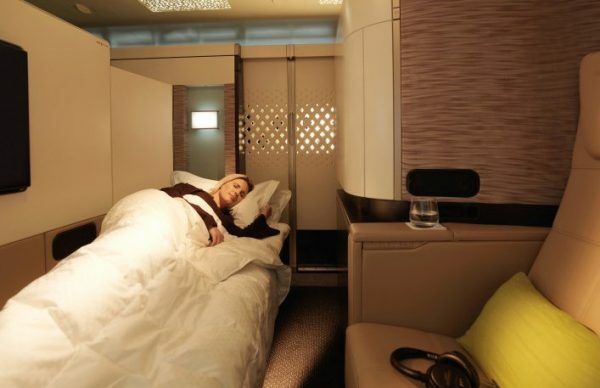 British Airways places 16 First Class seats at the front of its A380. In the same floorspace at the rear it squeezes 80 Economy seats. A First Class passenger is taking five times as much real estate as an Economy passenger. So, at the very least, our First Class seat should cost 5x the price of an Economy seat. Let’s see how to make them the same price. A real-world example to beat the system.. 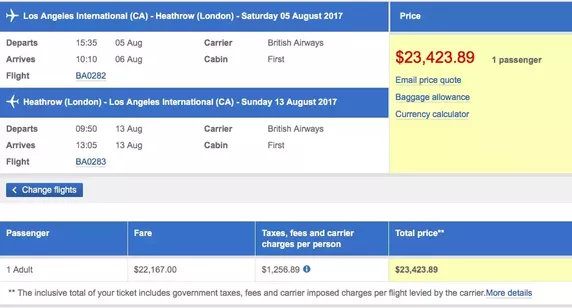 So, if we buy a Refundable Economy ticket from LAX to LHR six months from now. 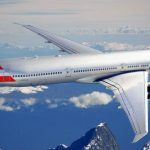 British Airways wants $4,200 for the Refundable Economy Seat. 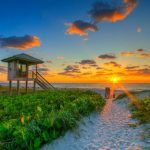 Just before we hit the ‘Buy’ button, unlike almost every traveler, we decide to get creative. 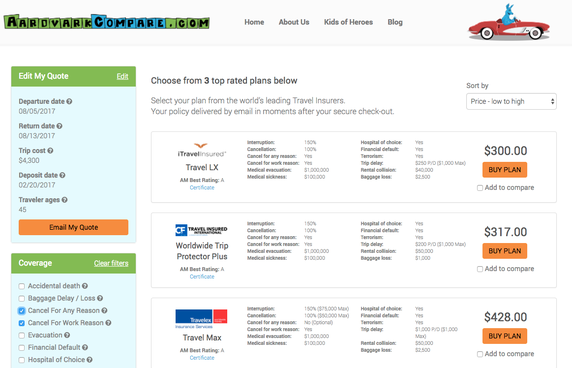 Then wrap it up with some ‘Cancel For Any Reason’ Travel Insurance from a Marketplace like AardvarkCompare.com. British Airways wants $4,300 for the Non-Refundable Business Seat. 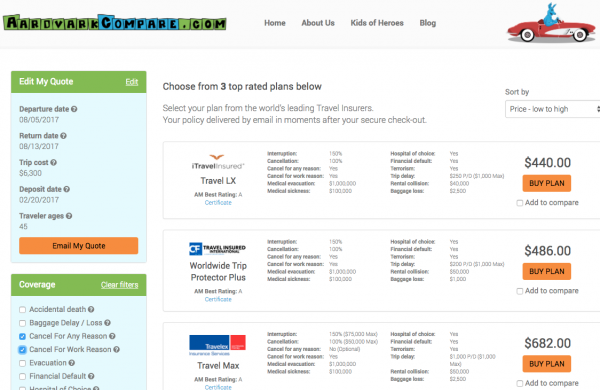 We add a $300 Cancel for Any Reason Travel Insurance policy from AardvarkCompare.com. So, for $4,600 we are paying $400 more than the traveler with the Refundable Economy Flight. It’s an 11-hour flight. In Business Class. You’re welcome! Business Class with BA is lie-flat beds, incredible food, wonderful wines, attentive service. Now, let’s take look at First Class. First Class in British Airways really is an incredible experience. A little hard to describe – elegant pampering from beginning to end. Probably the only time in your life that you won’t mind if the flight time is a little longer than planned. British Airways wants $6,300 for the Non-Refundable First Class Seat. 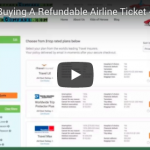 Let’s add a $450 Cancel For Any Reason Travel Insurance Policy from AardvarkCompare.com. So, for $6,800 we are paying $2,500 more than the traveler with the Refundable Economy Flight. How? Simply by being a little creative in our flight booking and adding an insurance. Simple – Travel Insurance is based on risk, and the probability of claim. 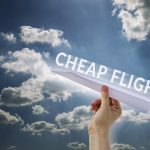 Flight prices are based on pricing models that try to gouge as much money out of a passenger as is humanly possible. 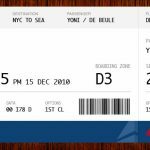 But, for those of you who would prefer to keep the airlines profitable, here is the price for that Refundable First Class Ticket. $23,400 for a Refundable ticket, or $6,800 for Non-Refundable with Insurance. That’s a $16,600 saving. Same flight. You’re welcome.